Need to fill a 20-minute gap with an engaging activity that helps students learn and review English vocabulary? 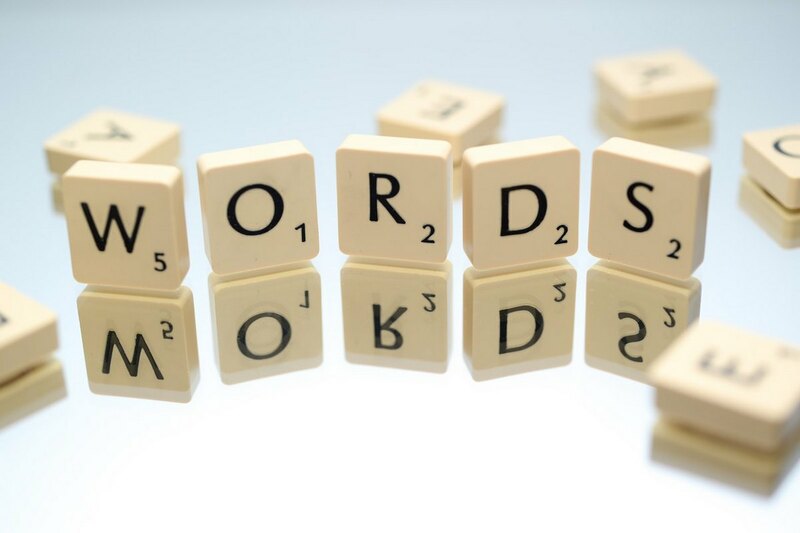 Try one of these high interest word games. These word games help students learn and review vocabulary based on a fun puzzle format. As a puzzle, there is an objective and challenge. 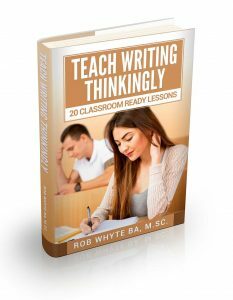 Teachers can be most productive by resisting the urge to give the answers away to quickly. Most of my students seem to enjoy the challenge of muddling through the brain game, with the occasional hint from the teacher. This is a classic word game. I always run it during the first week of the semester when the students have new class jitters or just before an exam. Get the detailed instructions and word list here. Explain the name of the challenge, Sound and Sort. Sound refers to pronunciation and sort means organize or make smaller groups. Ask students to divide the words on the worksheet into three groups. Each group has a different characteristic. Here is another classic word game. Sometimes called Odd One Out, this pair work activity requires students to read, speak, listen and think critically. Get the word lists and full instructions here. Copy a worksheet for each student. This activity works best when the pair work partner can’t see the word list. Student A reads 4 words. Student B has to choose one word and provide a logical reason why it is different. Stress to students that any answer is okay if it is logical. In addition, many different answers are possible. The worksheets have a few word list options that work with different levels of students. This word game works well with high beginner to intermediate students. 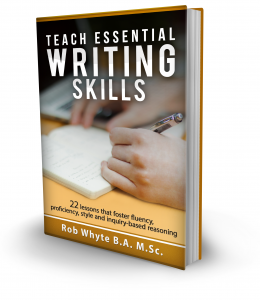 Get the instructions and worksheets here. The game is easy to play. Students read a word, listen to the sound and write another word which sounds the same, but has a different spelling. 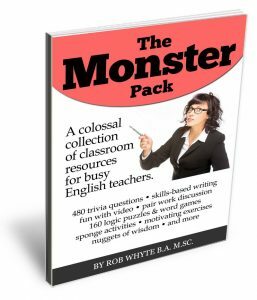 All of these activities come from my ebook, The Monster Pack: 240 pages of word games, logic puzzles and trivia. Help your students learn English with language-focused activities and cut your prep time. If you like these activities, why not buy the ebook?